The industry is also fighting two upcoming federal actions. The US Departments of Agriculture and Health and Human Services are now doing their five-year updating of the Dietary Guidelines for Americans. The government's advisory committee of academic experts recommended that sugar consumption, especially from beverages, be limited to 10 percent of calories (current consumption is about 15 percent). It also recommended exploring the use of "pricing" (i.e., tax) approaches to reduce consumption of sugar drinks. If those recommendations are included in the 2015 Dietary Guidelines for Americans they will strengthen the Food and Drug Administration's proposal to include an "added sugars" line on the Nutrition Facts label. A Dietary Guidelines recommendation of a 10 percent limit on refined sugars would also provide a basis for the FDA to set a Daily Value for refined sugars and include a "%DV" on food labels. That could make high-sugar foods, especially beverages, look like poor nutritional choices. The sugar and soft-drink industries are already opposing these federal actions. 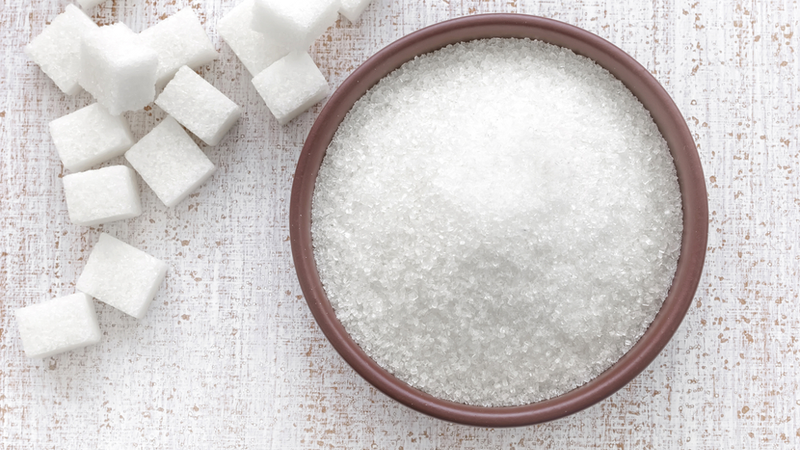 The Sugar Association and American Beverage Association filed voluminous comments with the Dietary Guidelines Advisory Committee challenging the tentative finding about sugars' and sugar drinks' contributions to chronic diseases. The sugar group charged, for instance, that the committee's conclusions were "opinion-based" and not "science-based." Industry lawyers have even contended that including "added sugars" on nutrition labels would be unconstitutional. If those tactics are more visible than those chronicled by Kearns, et al., rest assured that industry will also be working behind-the-scenes inside the halls of government just as hard as 40 years ago. Michael F. Jacobson, Ph.D., is the executive director of the non-profit Center for Science in the Public Interest. He reports not having any conflict of interest other than many years' efforts to reduce the consumption of sugar and soft drinks. He can be reached at mjacobson@cspinet.org. This article originally appeared at PLOS Blogs and is republished here under a creative commons license.